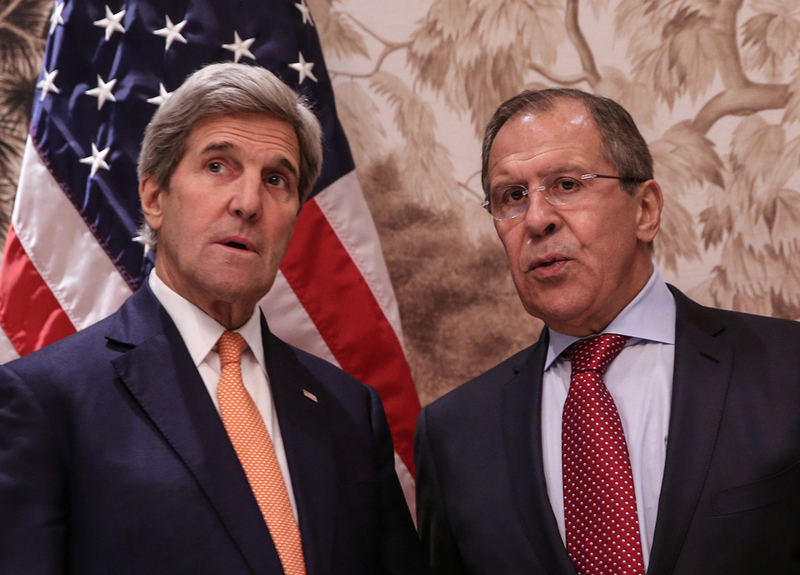 Russian Foreign Minister Sergey Lavrov and U.S. Secretary of State John Kerry. Russian Foreign Minister Sergey Lavrov and U.S. Secretary of State John Kerry have discussed settlement in Syria on the sidelines of the international conference on Mediterranean problems held in Rome, the Russian Foreign Ministry said on Dec 2. "Sergei Lavrov once again noted that the key condition is a decisive struggle against terrorist groups, confirmed adherence to principles of political settlement fixed in the UN Security Council Resolution 2254 through an inclusive intra-Syrian negotiations process," the foreign ministry said. The sides also discussed other pressing international issues, such as the situation in Iraq, Libya and Yemen, the ministry said. "Issues of bilateral relations that seriously suffered as a result of confrontational actions of the Barack Obama Administration were also touched upon," the foreign ministry noted.